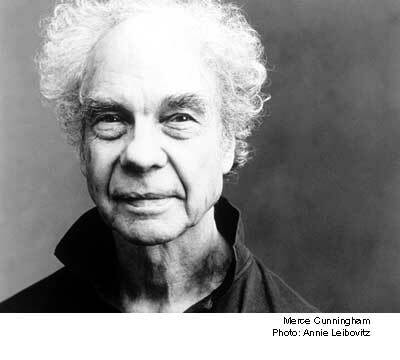 Merce Cunningham and his work has made an indelible mark on my consciouness. It is with mixed emotions that I received this article in the New York Times on Cunningham’s plans for ensuring preservation of his lifelong career as a dancer and choreographer. Cunningham turned ninety on April 16 this year. Unfortunately the YouTube poster didn’t date the video but from the two men’s ages it looks to be from the mid to late 50s. Merce’s time on Earth is limited, as all of ours is in one way or another. You can find him now, as vibrant as ever, on a video series called “Mondays with Merce” on the Merce Cunningham Dance Company website. The videos show the company rehearsing at Merce’s direction and interviews with dancers, artists, collaborators, and of course with Merce himself. Enjoy. The Merce Cunningham Dance Company website.